It is entirely possible to access the new Hepatitis C cures at affordable prices via parallel importing. Click here or on the image to learn more about the REDEMPTION eTrials and please share this with your friends. REDEMPTION-3 (GT 1 4 5 6) is now open and is using tablets containing generic Harvoni ® (Sofosbuvir 400 mg / Ledipasvir 90 mg) sourced from a variety of reputable manufacturers such as Cipla, Incepta, Hetero, Natco, Beacon and Julphar. REDEMPTION-2 (GT 1 2 3 4 5 6) is now open is using tablets containing generic Solvadi® (Sofosbuvir 400 mg) and Daklinza® (Daclatasvir 60 mg) sourced from a variety of reputable manufacturers such as Incepta, Beacon, Julphar, and possibly Cipla, Hetero, and Natco. The new treatments have minimal side effects and typically see 95% of people cured after 12 weeks of treatment at a cost of $1400-1600 USD. If you are interested in the FixHepC Buyers Club click here. To hear what real people have to say visit our Open Access Forum. 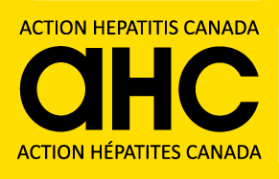 If you’re living with Hepatitis C you now have the chance to step into the light again. Imagine just how good it would feel to finally be free. Hope is to hand. REDEMPTION is here now. Will you find it? PS: Yes, it’s real – check out the forums to read what real people are saying about their generic treatment journey. You can even chat in real time with people just like you. If you live in a country which permits importation of drugs by mail for clinical trials or your own personal use, you may be interested in these trials. They are unique in that the drugs are legally-produced generics, the application and reporting is done online and “by invitation only”, and participants are required to purchase the drugs themselves (varying between $1400 and $1600 USD for the entire course of treatment). Redemption 2 (cost $1400 USD), for genotypes 1, 2, 3, 4, 5, and 6. Sofosbuvir 400 mg and daclatasvir 60 mg for 12 weeks. Redemption 3 (cost $1600 USD) for genotypes 1,4, and 6. Sofosbuvir 400 mg and ledipasvir 90 mg for 12 weeks. Sadly the laws about personal importation vary from country to country. Shipment to many countries is possible, to some it is not. Here is a map showing locations where we either know we can ship from personal experience, or expect to be able to achieve medication delivery.